Smoking offers many health benefits, provided you are using the right herbs. It is thought to be beneficial to overall health and vitality as compared to cigarette smoking, which is the inhalation of smoke obtained while burning cured tobacco leaves. A commonly used Indian tobacco, Lobelia, is very effective for quitting your smoking habit because it is very much like nicotine, but without any of its addictive properties. Smokers can benefit by using cigarettes made from lobelia in betel leaves as it is purely herbal with no side effects. 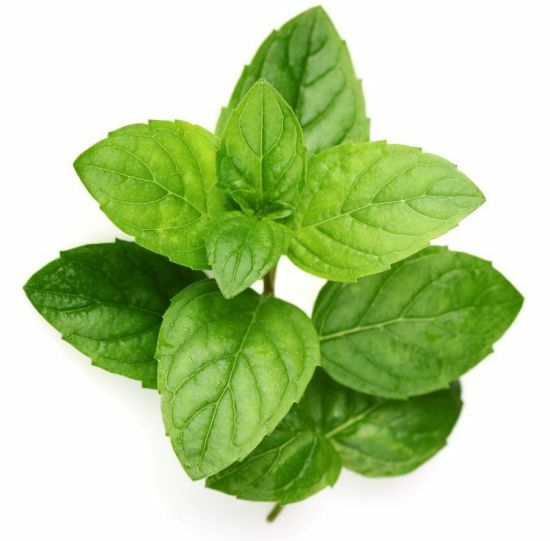 Other nicotine-free herbs for smoking include peppermint, gotu kola, hops, skullcap, and clove. The health benefits of smoking are rarely talked about because smoking is one of the most common causes of health problems and death. However, it has been noted that smoking may help reduce the occurrence of conditions like preeclampsia, and atopic disorders such as allergic asthma. These protective effects are attributed to the anti-inflammatory properties of nicotine, which interfere with these conditions. There are many natural herbs that contain no nicotine and smoking them can reduce the cravings, and eventually help smokers quit smoking. The benefits of certain commonly used herbs for smoking are listed below. Peppermint improves blood circulation and relaxes the nerves. It is a strong purifying agent that can restore and rejuvenate both, the mind and body. Known for its healing properties, peppermint can also ensure easy breathing by clearing the lungs and respiratory passages. This extract is used to improve memory, relieve tension, enhance blood flow, reduce inflammation, and strengthen the liver. Gotu Kola herb has been used since time immemorial to remain healthy and to sharpen memory and concentration. Hops are mild sedatives that ensure a calming effect and are one of the principal ingredients in many medicines. Muscle relaxants and tonics containing hops help curb cravings. It is an effective medicinal herb that may help in relieving symptoms of many diseases like insomnia, hysteria, delirium tremens, anxiety, and withdrawal symptoms from tranquilizers. Skullcap is rich in vitamins and is used as a central nervous system booster and a sedative. It is also found to be effective in managing headaches and restlessness. Wild oat is a popular traditional herbal medicine that is widely used in providing relief from liver and kidney conditions and joint pain. It relieves depression and is a natural tonic used to improve strength and vitality in both men and women. Well known for its anti-depressant qualities, wild oat is also used to reduce mental tension and anxiety. It is a powerful antioxidant as well, which slows down the aging process. Clove and its oil can reduce the cravings of even long-time smokers for nicotine. Herbal experts recommend placing a drop of clove oil on the back of the tongue whenever a person gets the craving to smoke, which is found to be very effective. Heavy smoking damages the lungs because of the deposition of tar. Primrose oil formulations can flush out these tar deposits from the lungs and the lymph system, thereby purifying the body. The oil extracted from primrose is a time-tested remedy for heavy smokers who often suffer from impaired lungs. Cravings for smoking can be curbed by sipping herbal tea made from chamomile, multiple times a day. Apart from this, chamomile is a powerful antidepressant and can help manage the withdrawal symptoms among smokers very effectively, thereby preventing relapses. Used in the Orient for millions of years as a general health booster, ginger root is extremely valuable. It is not only a proven herbal remedy for indigestion, stomach cramps, and chills, but it may also help reduce cravings for cigarettes. Ginger root is also rich in essential vitamins and nutrients such as protein, calcium, and iron, among others. Smoking herbs might effectively eliminate cravings for tobacco smoking. However, remember to supplement this therapy with a diet rich in minerals and other nutrients to ensure good health. Disclaimer: Smoking is injurious to health and to extract the benefits from it, you must consult a medical expert. Average rating 3.7 out of 5.0 based on 218 user(s).